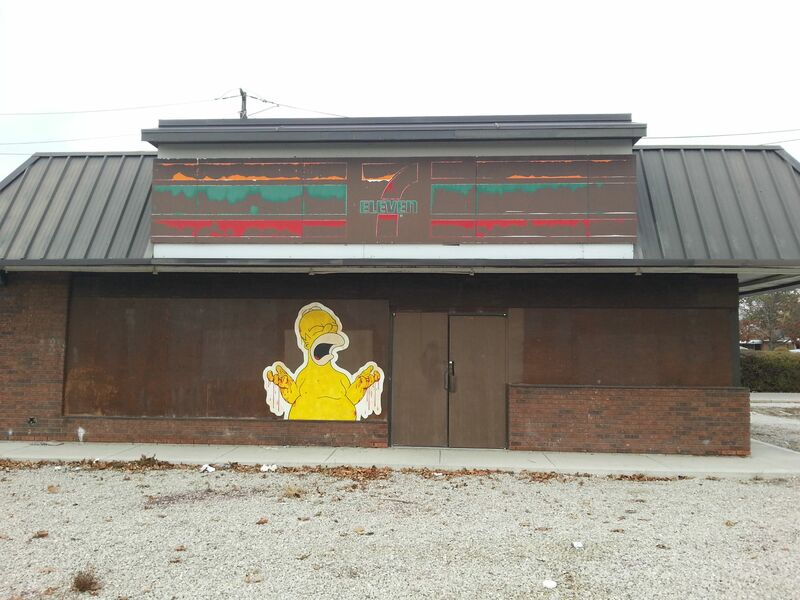 21 Street Artists Who Love "The Simpsons"
When it comes to loving The Simpsons and doing street art, be the chalkboard gag you want to see in the world. They really know how to mourn a 7-Eleven's demise in Windsor, Canada. Don't blame them. 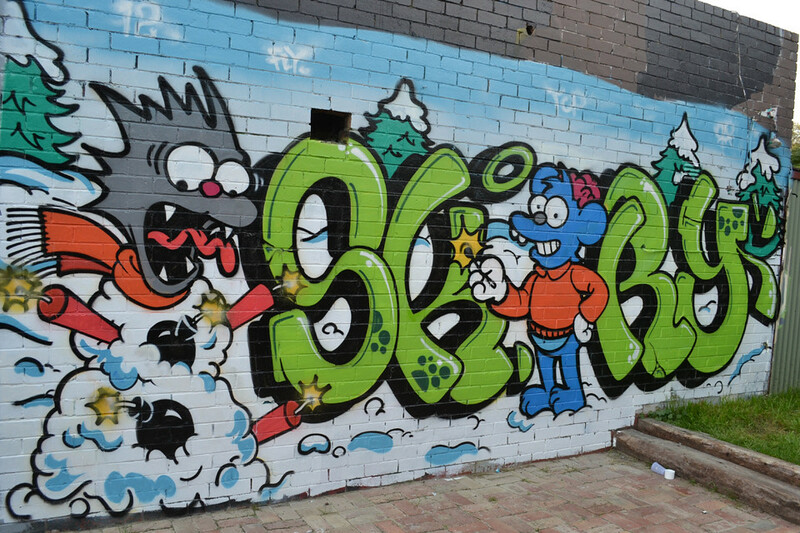 They tagged for Kodos. 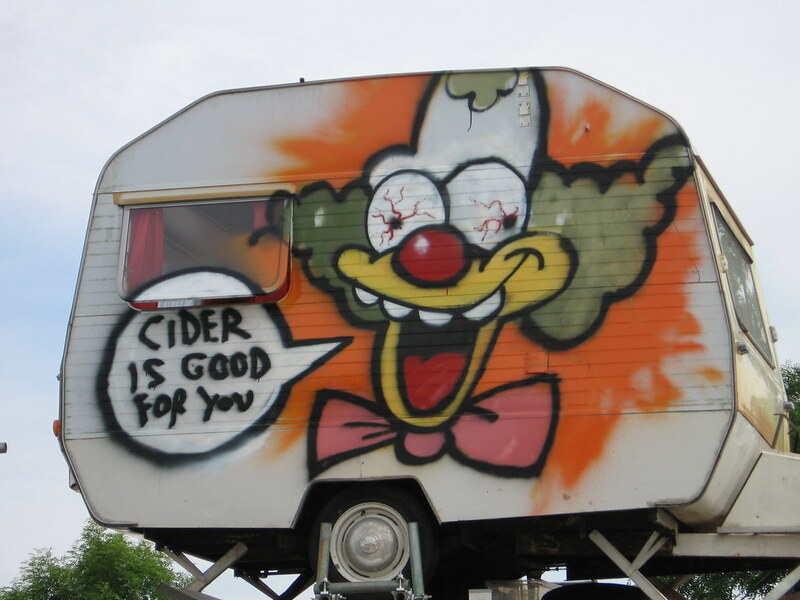 Krusty on a trailer near Lost Vagueness. ...and this sledding Abe for the Vancouver Winter Olympics. 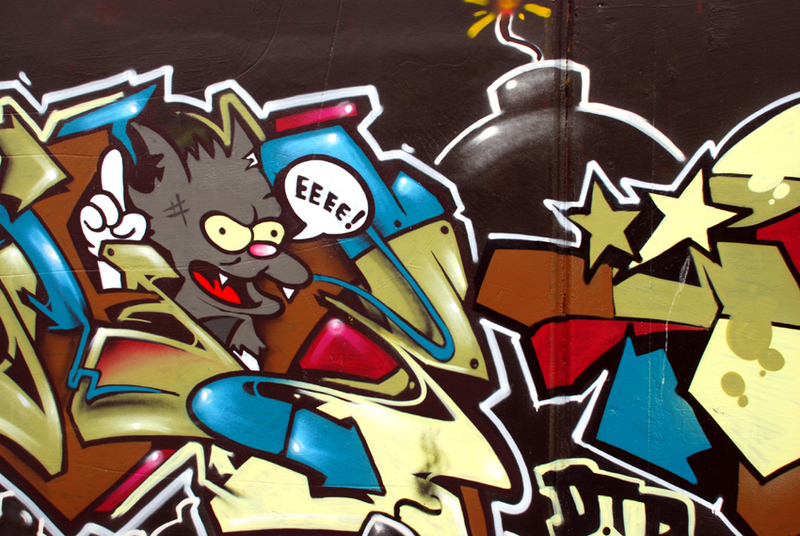 The world of street art can finally WELCOME THRILLHO. 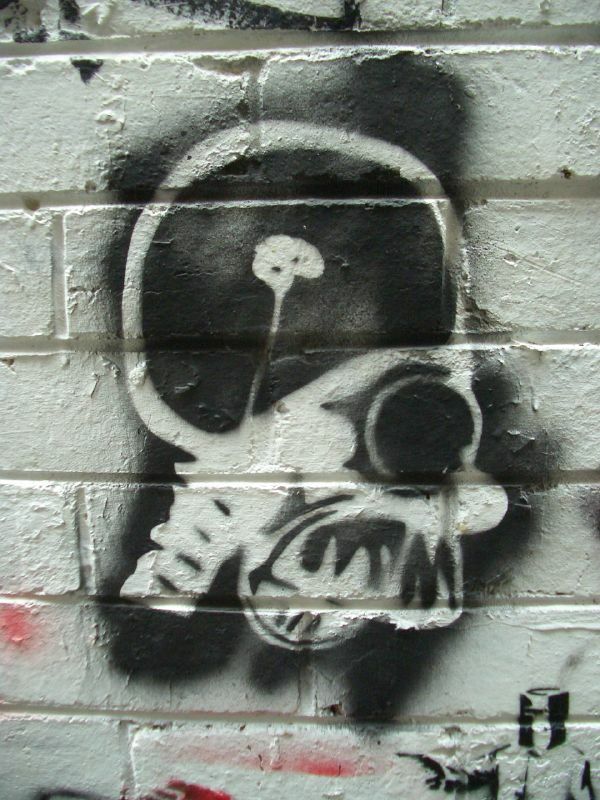 "I'm a post-graffiti reincorporation of popular culture!" 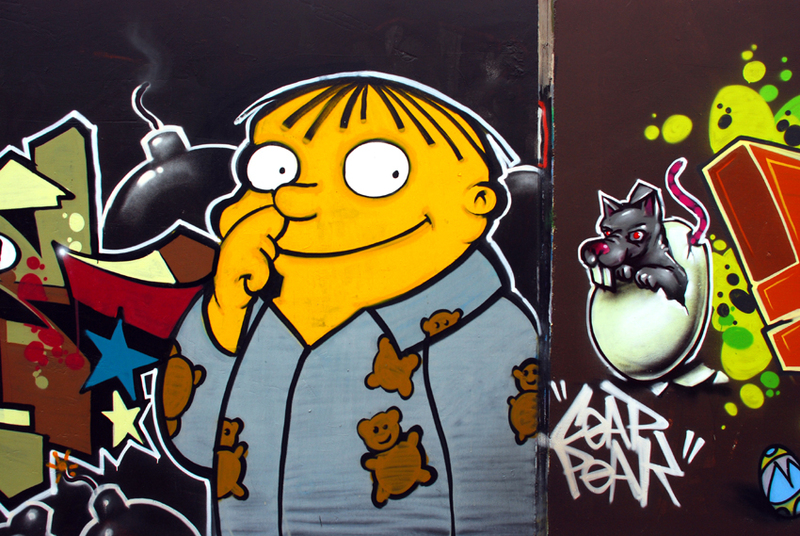 — Ralph Wiggum in Christchurch, New Zealand. 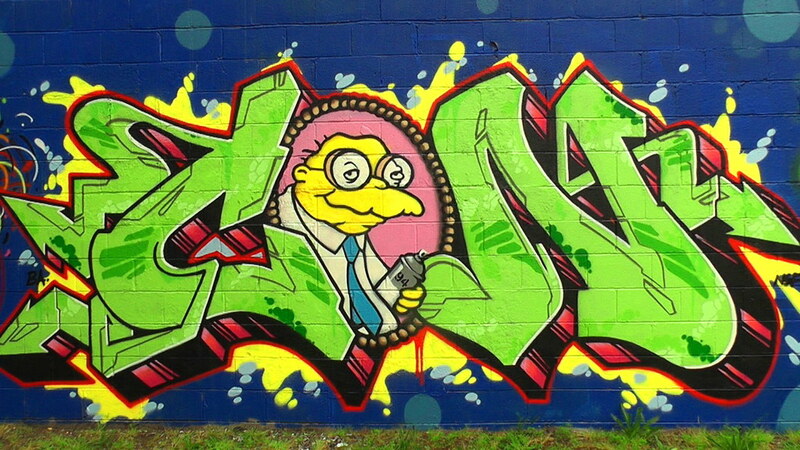 Another Kiwi muralist, who wisely leaves out Poochie. 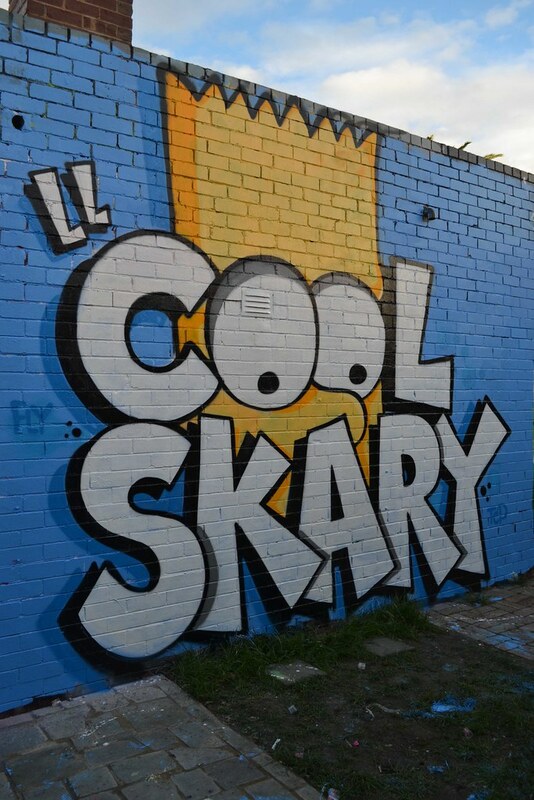 Speaking of Itchy and Scratchy, artist Skary McLairy is a huge Simpsons fan. Like, a particularly huge fan. Really, really into the show. Basically unless you've got half a dozen walls of your own, he's more into the show than you are. ...just like the genius behind these Yellow Men in Black. 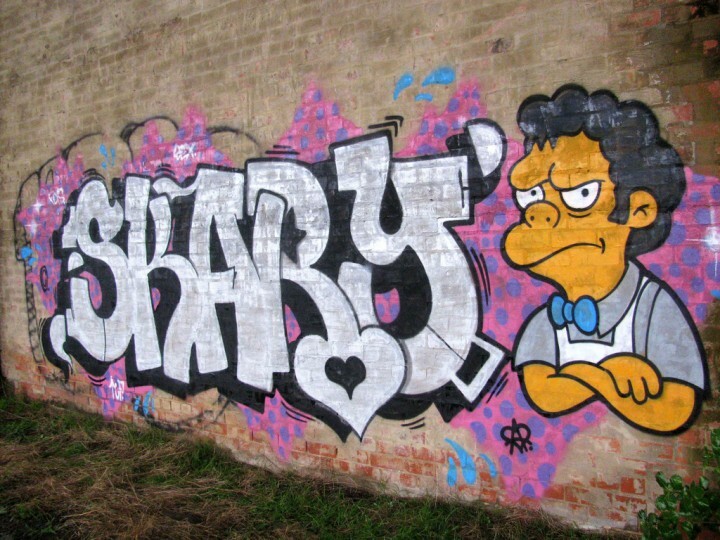 ...and neither is Street Art Moe Szyslak. Their follow-up should feature a crayon. 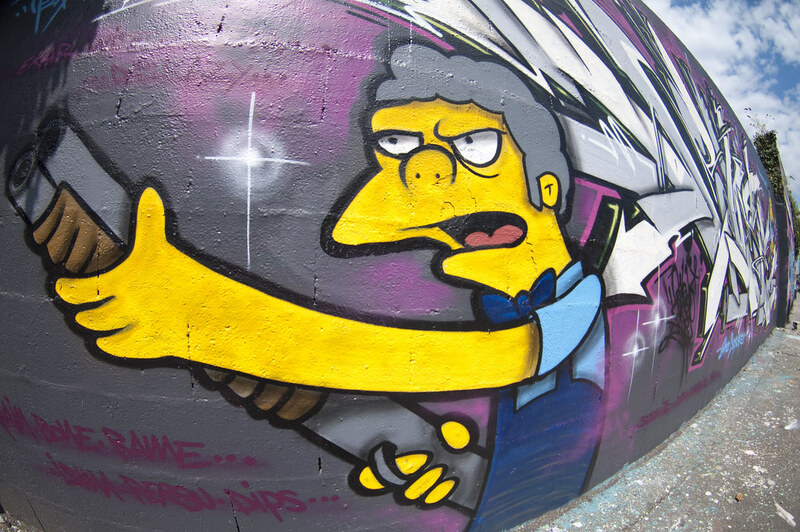 We're not saying "boo" or "Boo-urns" to this artist's love of Hans Moleman. 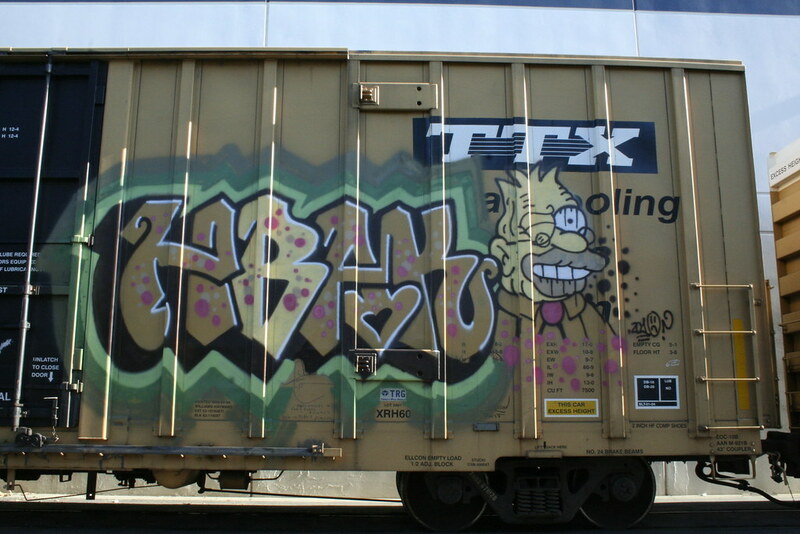 And this is the next level of Simpsons graffiti art: Tagging train boxcars with a guy who remembers when trains were popular. 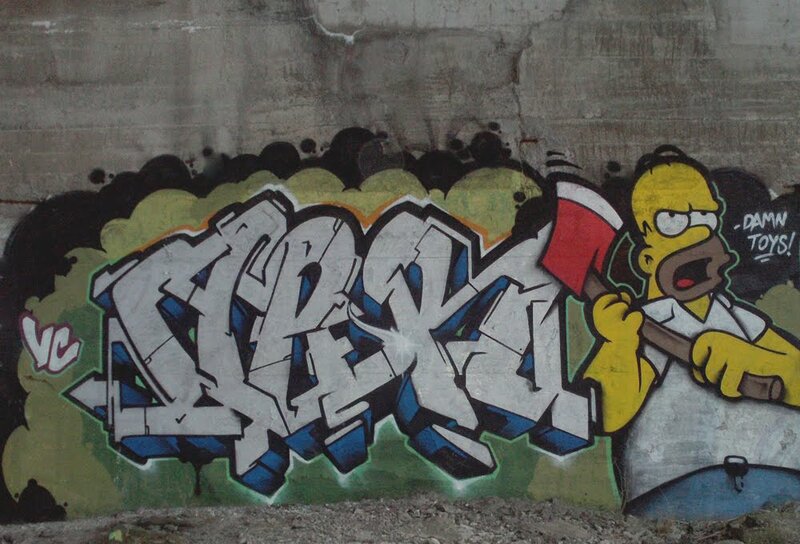 Putting Bartman on one can't be easy. 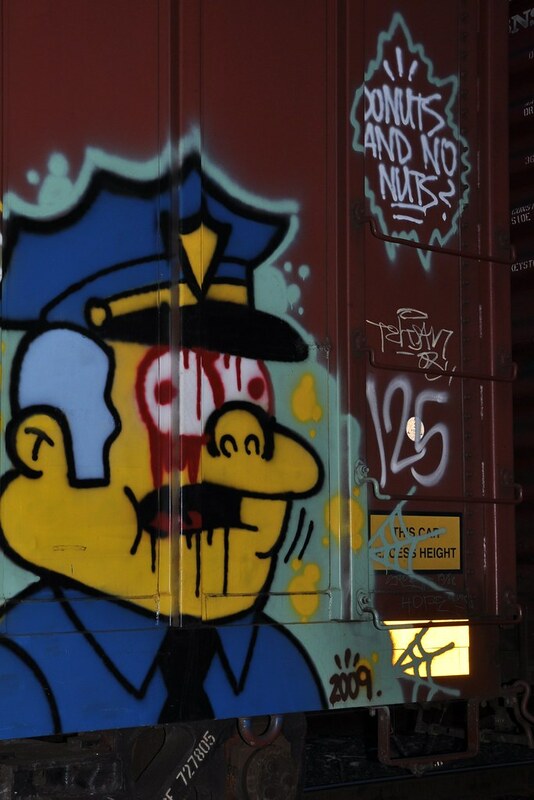 And it takes time to fully creepify Chief Wiggum's eyes (if you feel the need to do that). 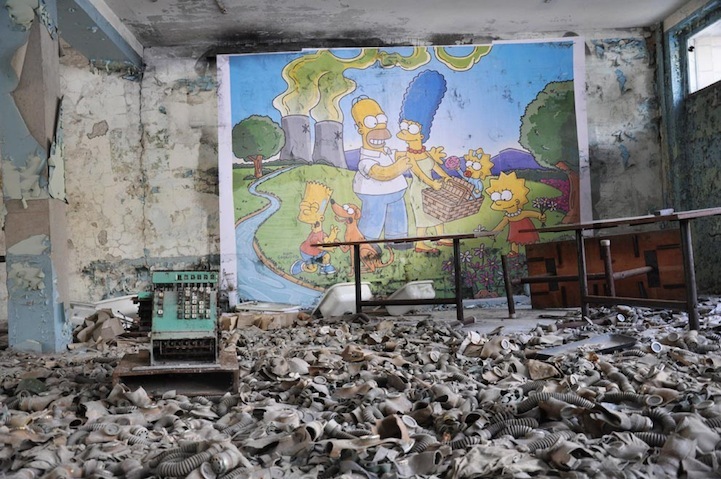 But if you want to see the all-time champion of impressive Simpsons fan street art, it's the French artist Combo, who did this nuclear picnic scene at the actual Chernobyl site.